January saw 36,832 new mortgages approved for the purchase of a home. This is 22.5% more than last January, a significant increase, according to the INE. The average amount of capital borrowed was 121,036 euros, a slight drop of 0.7%. The total amount lent for home purchases reached 4,458 million euros, an annual increase of 21.6%. By type of property, loans for homes accounted for 61.9% of new loans taken in January. The total amount borrowed for all property types reached 6,951 million euros, 16.2% more than in January 2018. The average interest rate at the start of the term was 2.6%, 2% lower than in the previous year. The average term for the loans was 21 years. Of all new loans taken in January, 64.5% were taken with a variable interest rate. 35.5% on a fixed rate. The average rate for new variable rate mortgages was 2.42%, 2.3% higher than in the same month last year. For fixed rate loans the average rate at the start of the term was 3.04%. This is 8.9% lower than in January of the previous year. For home mortgage loans, the average interest rate was 2.57% which is a drop of 4.3% when compared to the previous year. The average term of new home loans was 22 years. 62.8% of mortgages for home purchases in January were on a variable interest rate, with the remaining 37.2% being fixed rate loans. The average interest rate at the start of the loan term for home loans was 2.32% for variable rate loans, a fall of 8%. For fixed rate home loans the average rate was 3.09%, a 1.6% annual increase. Madrid (10,478), Andalucía (6,140) and Cataluña (5,025) saw the largest number of new home mortgages approved in January. 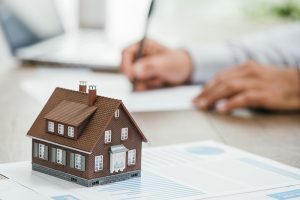 The same three communities, Madrid (1,377.4 million euros), Catalonia (790.8 million) and Andalucía (657.5 million), approved the most capital for the constitution of mortgages on housing. The highest annual variation rates in borrowed capital were in Madrid (51.4%), Castilla – La Mancha (34.7%) and Aragón (29.7%). The same communities appear as having the highest annual variation rates in the number of new home mortgages: Madrid (104.8%), Castilla – La Mancha (25.3%) and Aragón (17.3%). The Balearic Islands (-10.6%), Galicia (-7.1%) and Navarra (-5.3%) presented the most significant negative annual variations.